The brilliant Hedtec open face Rapido HANS (FIA listed as OF-S1) is approved for use with HANS. This helmet is Snell SA2015 and FIA 8859 certified which means it can be used in international motorsport, these are the very latest standards. The brilliant Hedtec open face Rapido HANS (FIA listed as OF-S1) is approved for use with HANS. This helmet is Snell SA2015 and FIA 8859 certified which means it can be used in international motorsport, these are the very latest standards. 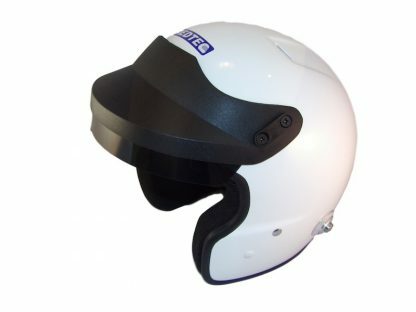 The FIA spec Rapido helmet is very intercom friendly and has large removable ear pieces to help facilitate the fitting of most intercom headsets.